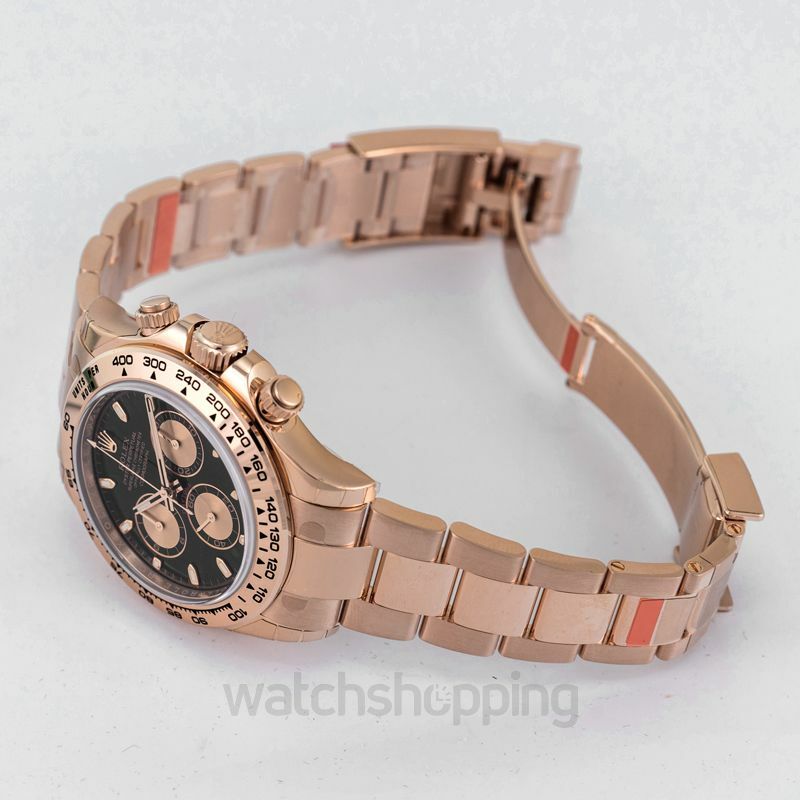 You won’t find a better answer to your search for the most outstanding, aesthetically pleasing unique chronograph watch than the Rolex Daytona 116505-0002. 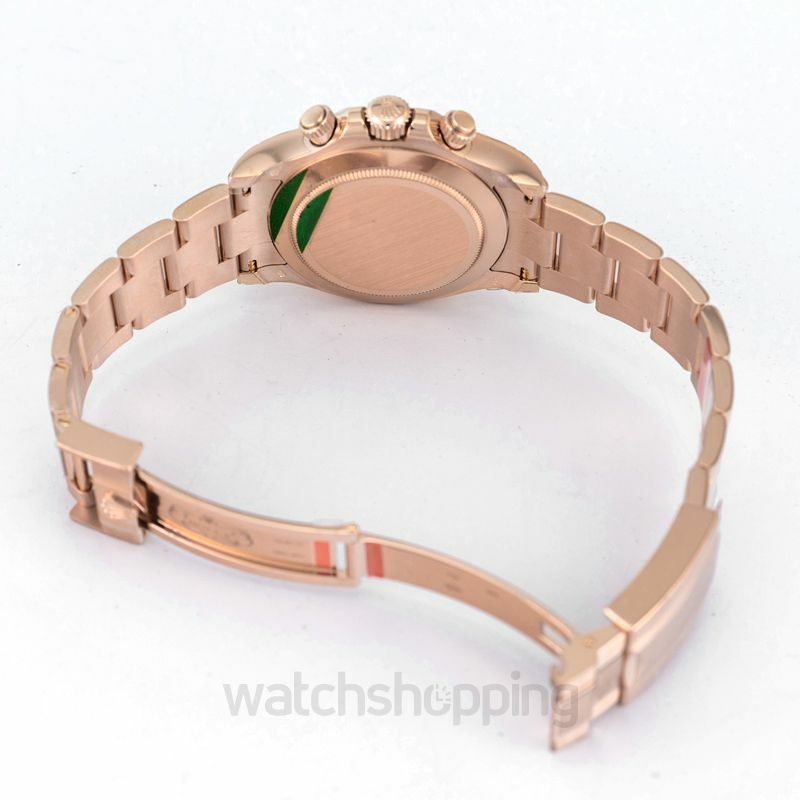 The watch has a rose-gold finish to it which will grab everyone’s attention as it sits perfectly on your wrist. 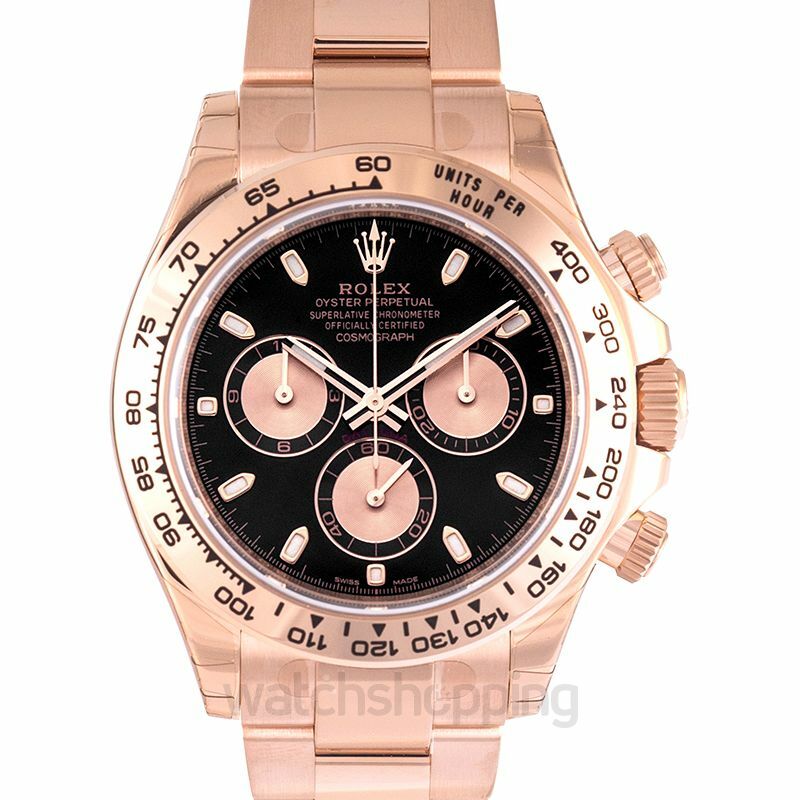 Made with the special Rolex in-house everose gold, the watch is the most durable and stylish timepiece for professional race drivers. 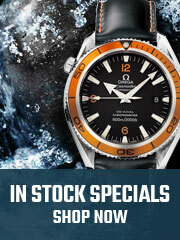 It has an outstanding black dial with diamond hour markers that make the watch flawless. 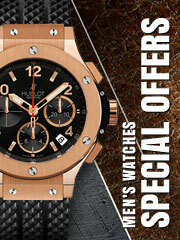 With 3 rose gold subdials, readability, precision, and comfort are assured with this Daytona watch.